Offering you a complete choice of products which include colorful lace and saree lace. 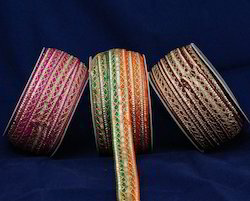 We are a well-known manufacturer & supplier of Colorful Lace. Our offered product is highly appreciated and demanded in the market. 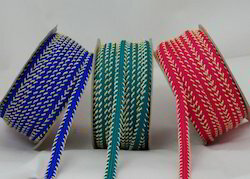 These fancy ribbons are manufactured with the best quality of material used. Our customers can avail the offered product at very reasonable prices. We hold expertise in manufacturing, supplying quality approved designer Lace. These laces are manufactured using quality threads and beads, procured from the reliable and certified vendors of the market. We also provide our clients with the customized facility to meet their expectations at reasonable rates.